Silves is a medium-sized town situated in the Central Algarve. The town is famous for its incredibly well-preserved Moorish Castle (Castelo de Silves), cathedral (Catedral de Silves), and its annual Medieval Festival. By any traveller’s standards Silves is incredibly picturesque, and one of the Algarve’s most beautiful towns. As well as the town’s beautiful cobbled streets, old Roman bridge, and colourful buildings, the nearby countryside is made up of hundreds of orange and lemon growing farms. Drive along any of the roads that lead into Silves and you’re bound to come across one or two farmers sitting on the side of the road, selling their freshly-picked oranges. Head to the weekly market, and you’ll find no shortage of oranges as well as other locally-grown fruits and specialities including pomegranates, dióspiro (a type of Sharon Fruit), and almonds. Unlike many of the other towns in the Algarve which tend to be built almost entirely around the tourist season, Silves is a ‘lived-in town’. It does quieten down during the winter, but never becomes a ghost-town like many other Algarve towns as most of the people who live and work in Silves work in sectors other than tourism. Another reason for its year-round existence is probably due to the small, but well-established expat community that live here. Having this community here means that many local businesses, including many of the local restaurants and cafes in Silves, stay open for most of the year. 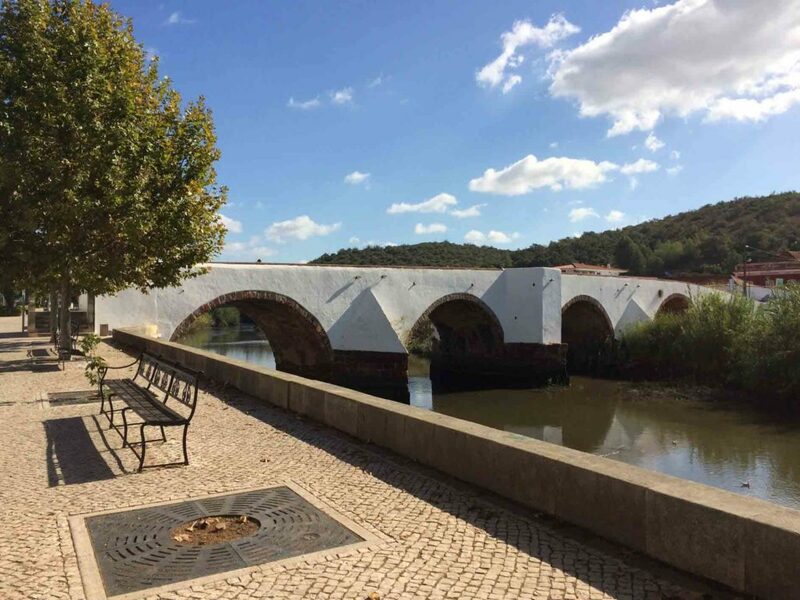 Silves is situated in the middle of the Algarve: an ideal location for those that want to explore the whole of the Algarve. Faro Airport, the Algarve’s airport, is roughly 50 minutes by car. The nearest beaches, Praia da Marinha and Praia de Benagil, are roughly 20 minutes by car. The interactive map below should help to give you an idea of Silves’ location within the Algarve. Although there is only one hotel in Silves, Hotel Colina dos Mouros, there are numerous bed and breakfasts, apartments, villas, and Airbnbs situated in the town centre and outside of it. Hotel Colina dos Mouros – Situated on the outskirts of Silves, this hotel offers basic accommodation with air-conditioning and private bathrooms. Duas Quintas – A family-run B&B with a swimming pool that’s renowned for its breakfasts. Duas Quintas has been featured in numerous publications including the Lonely Planet. Horta Grande – A hostel situated on the banks of the river Arade in Silves town centre. Villa Quina – A 4-bedroom rural villa situated roughly 10km outside of Silves. Still looking for inspiration? We have more suggests in our blog post dedicated to Silves accommodation options. Silves Castle – During the Moorish Period, Silves was the capital of the Algarve. Silves Castle still stands today, in fantastic condition, and visiting it is definitely recommended. Read our guide to visiting Silves Castle. Silves Cathedral – A 12th century church, Silves Cathedral is regarded as one of the Algarve’s most striking churches. Silves Market – Silves market is held on the 3rd Monday of every month. 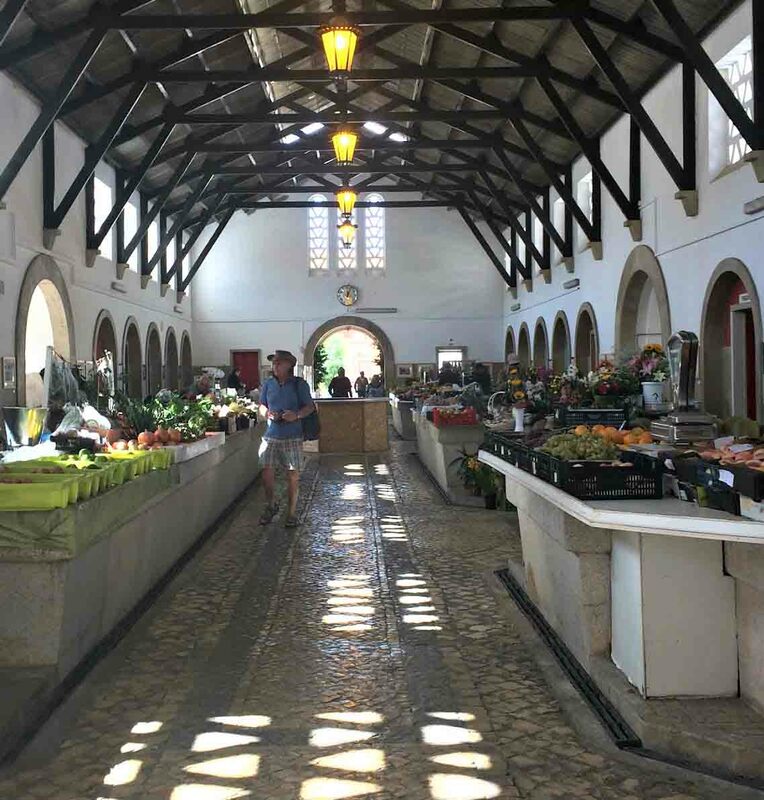 Here, you’ll find stalls selling fresh fruit and vegetables, meat, fish, and local Algarve produce such as breads, cakes, and jams. Need more ideas for things to do? 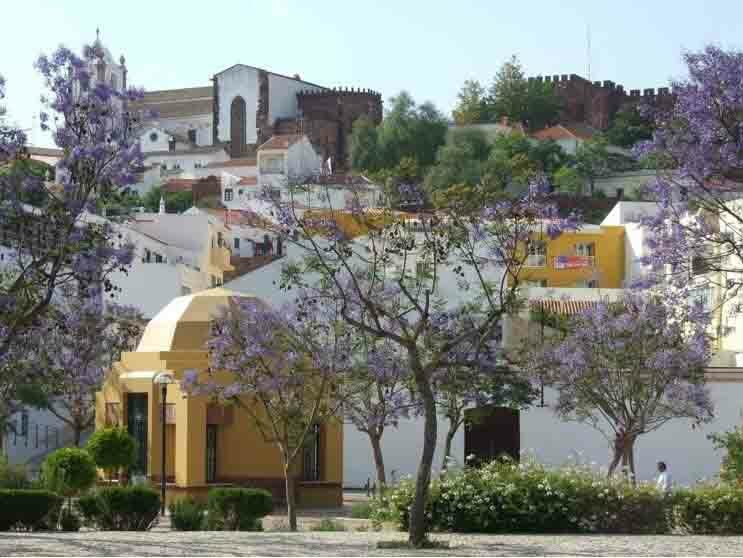 Read our post about Silves’ top attractions. Encontro de Janeiras – A small event, around the 5th of January, where local groups sing Christian songs and celebrate the arrival of the 3 kings. Silves Beer Festival – A small beer festival that takes place in mid-June. Feira Medieval de Silves – Silves’ medieval festival takes place every year in August and, is the main event of Silves’ calendar.